An early virtual "calling card". 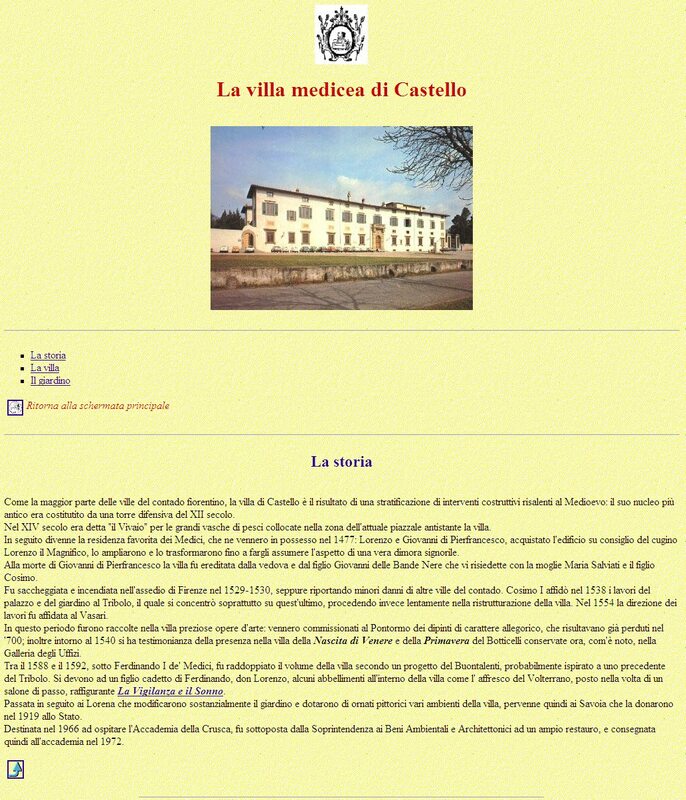 The first website was produced by the Accademia itself and was like a concise virtual "calling card". 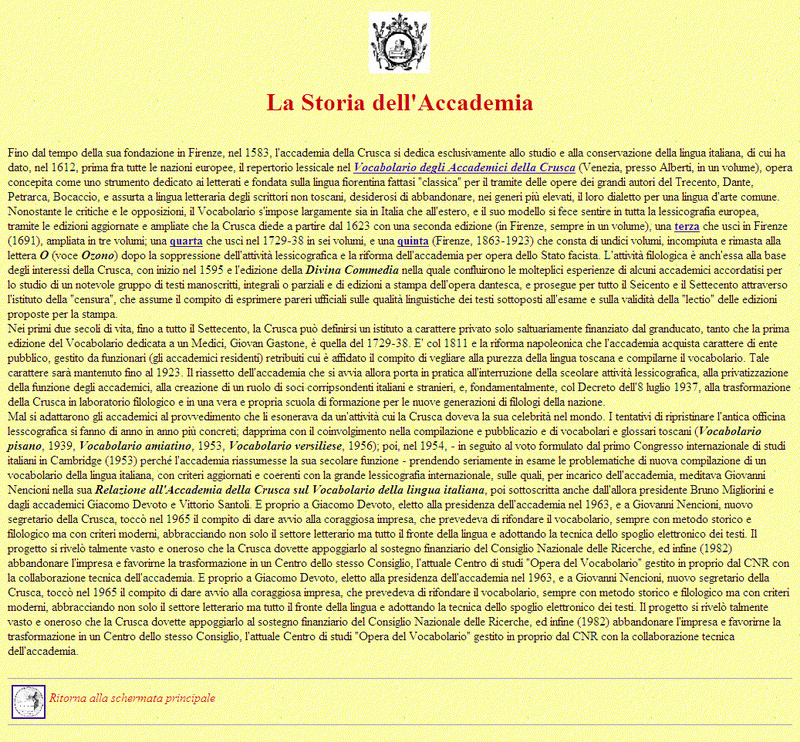 Its structure would serve as a model for the subsequent websites of the Accademia, with sections about its history, activities, archive, library, publications. 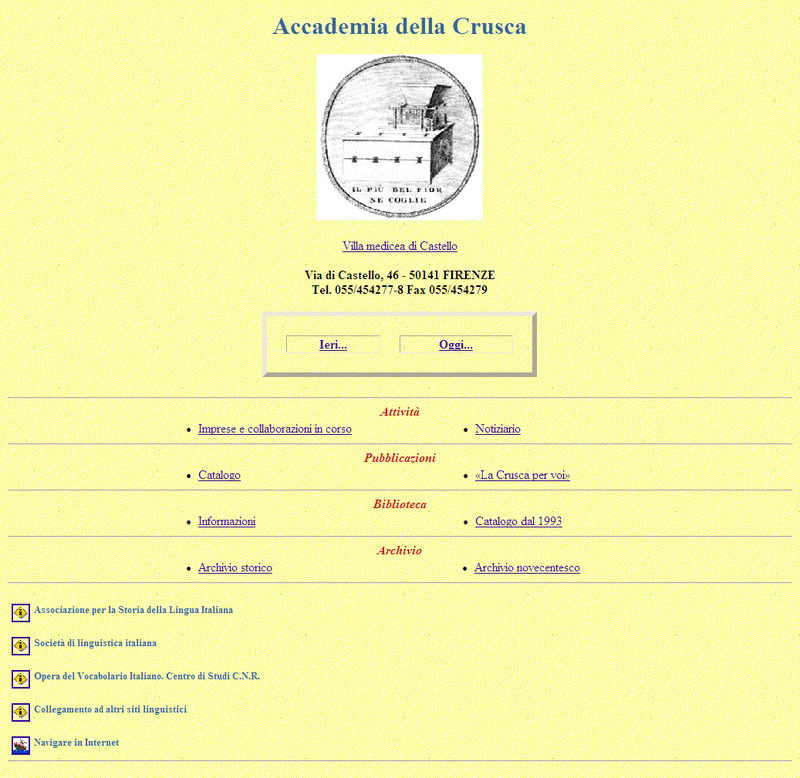 In addition, the website displayed links to institutions and other important sources. 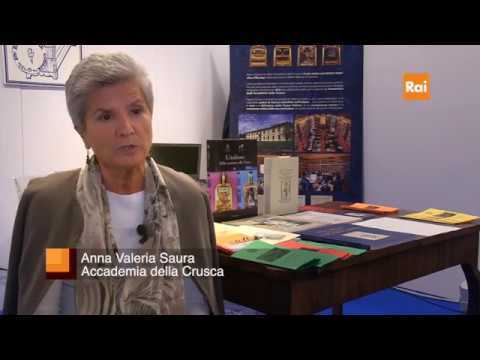 It was hosted on the server of the Istituto Opera del Vocabolario.